Fundraiser and Spanish program six year anniversary celebration. 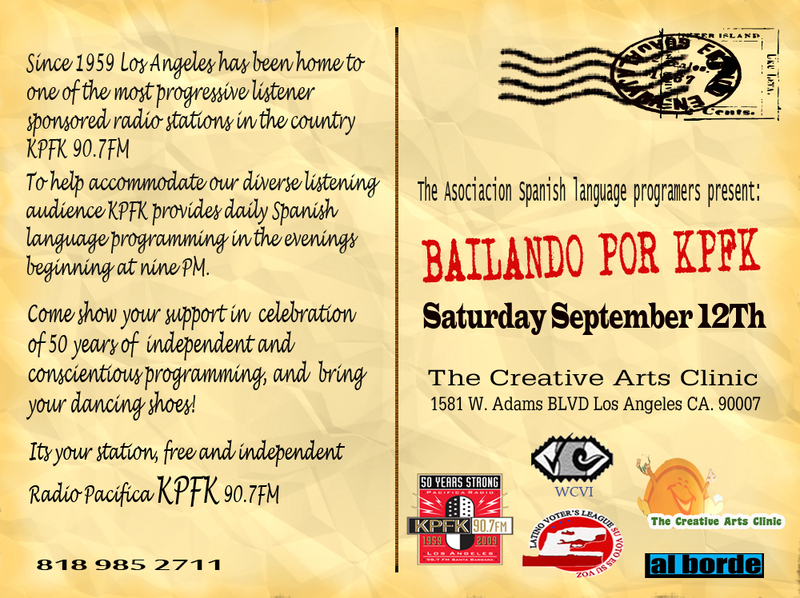 Kpfk Radios Association of Spanish language programmers present. Kpfk radio. 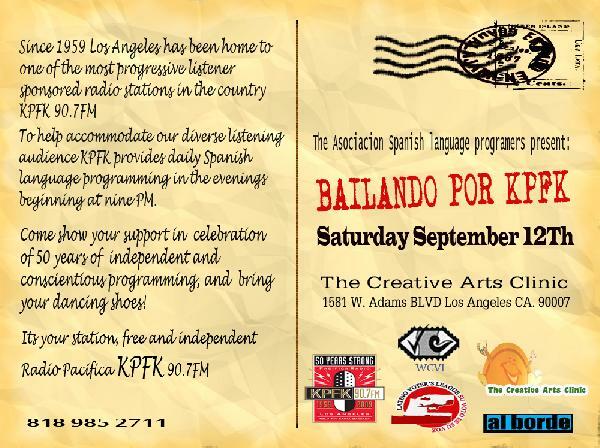 All proceeds go directly to kpfk. 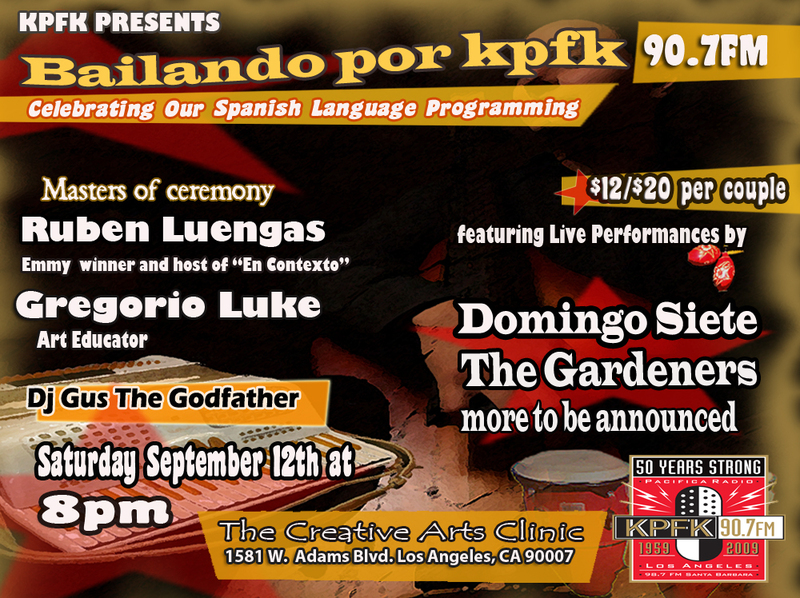 Domingo Siete, The Gardeners, and many more to be announced..
Mexican and Latin American art expert.